If you are a woodworker, or a human, and have not yet read the Anarchist’s Tool Chest, go buy it or borrow from a friend or the library right now. 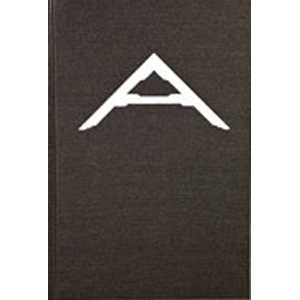 Never before has one book so strongly challenged, inspired or resonated with me the way the ATC has. In The Anarchist’s Tool Chest Chris encourages his readers to disobey our consumerist culture and to invest in a lifestyle and possessions that will last beyond our own years on this earth. He teaches that one simply cannot afford to buy cheap, disposable tools or furniture. His tool list is well rounded and expertly explained, and the tool chest project is one that will challenge you both as a woodworker and a human in ways you would never expect. Buy the book, get started with a few quality tools in your kit, and then buy and cross things off your ATC checklist slowly over time as you practice handtool woodwork and discover your own personal tool needs. 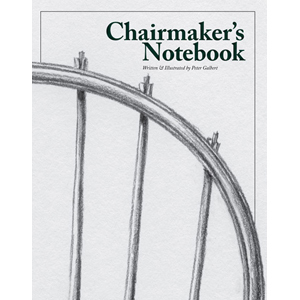 I know I am not the first, and will certainly not be the last to say that Peter Galbert’s Chairmaker’s Notebook might just be the best woodworking how-to book published in this decade. It is said that true experts make even the most difficult of tasks look easy, and Pete is no exception. Simply flipping through the book, looking only at the beautifully drawn illustrations is enough to give anyone confidence to build a chair of their own. This book is extremely informative, is an incredible work of art and should definitely make it on your summer reading list. I have often wished there were more books that could continue to fuel my passion for woodwork and yet also possess the ability to retain my attention for more than a few pages at a time. 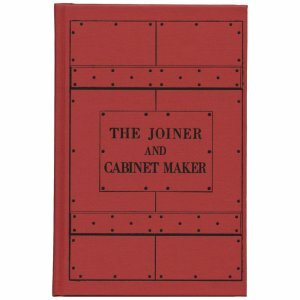 The first part of The Joiner and Cabinet Maker tells the fictional story of young Thomas’ apprenticeship in a cabinet shop in the 1800’s. The second part of the book was created as an addendum to the antiquated fictional text to teach the reader how to build each of the projects Thomas builds in the story. The genius of this book is that it allows woodworker’s the opportunity to envision themselves as Thomas the apprentice, to practice the skills he practiced, and to gain confidence as a woodworker all the while. This is a fantastic book for youngsters, people just getting into handtool woodwork, or seasoned woodworkers looking for a very interesting piece of fiction and a few more projects to add to their lists. Beginners and experts alike will find all kinds of helpful information about both wood and steel planes in Woodworker’s Guide to Handplanes. Scott Wynn expertly explains the setup process, the intended purpose of different planes and their use. The photos and illustrations within the book make complex concepts very easy to understand. From choosing and buying the right planes to sharpening blades and using your tools properly, this is a must-have reference book for all handtool woodworkers.